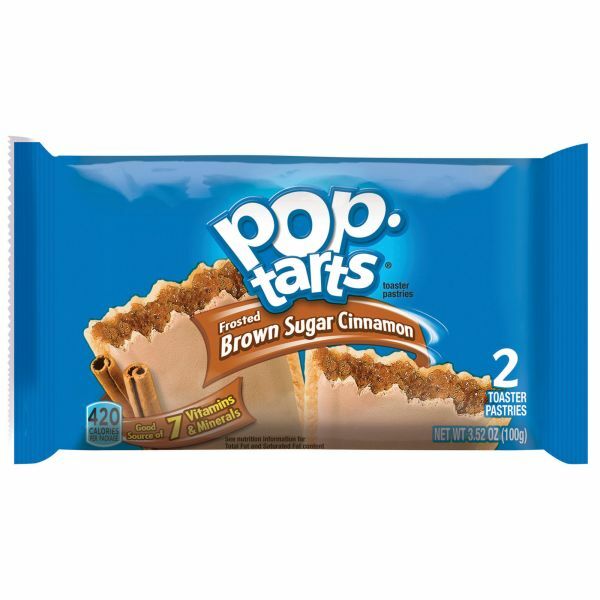 Pop-Tarts® Frosted Brown Sugar Cinnamon - Single-serve Pop Tarts offer a delicious toaster pastry treat flavored with brown sugar and cinnamon. Each pack contains two iced pastries. Take these convenient treats with you or eat them in the office. Hot or cold, they're a great meal or snack any time of day. Enjoy for breakfast, lunch or dinner.